Elsie M. Campbell and Aunt Mimi's Quiltworks: Competition? You bet! I'm home from Road to California quilt show. I was privileged to judge the show along with Charlotte Warr-Andersen and Joen Wolfrom. It was a great show, with many fabulous, perfect, beautiful quilts. Last Saturday, while teaching hand quilting to a full class, I called for questions, and one student asked me about the judging process and what judges look for. WOW! What a question! She caught me by surprise. The answer to that is another entire class. I couldn't even begin to answer that question in a half-day class, so I've been corresponding with her via e-mail. It became evident that she is considering entering competition, and I so wanted to encourage her to go for it! Very few workshop participants will ever enter competition, but I love to encourage those that do. Entering competitions was my ticket into the quilt world. I started entering contests in 1992, not having any idea about the quality of the quilts that were being entered. But I did start winning immediately. I've entered many, many contests since then, and am happy to report that there are only a handful of contests in which my quilts did not come home with ribbons. That's what got my name out there. In 1999, I went to work for a small publishing company that published 3 different magazines bi-monthly, and 6 to 8 book titles per year. I was the how-to editor. That's where I really got a lot of experience, and contacts in the professional world or quilting. 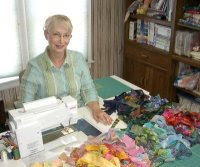 I met so many famous quilters, authors and winners, and they in turn helped me to be invited to lots of quilting events. My experience in judging has shown me that each show has an individual personality. And each grouping of judges will see things differently. We really had a good, cooperative, and respectful judging team at R2CA, and I learned a lot from my fellow judges. But that isn't always the case. The combination of personalities and pattern of compromise sometimes results in very surprising winners. People don't always understand why the Best of Show got that award and it is not unusual for viewers to disagree with the results, but the BOS and other big winners are usually decided by compromise and negotiation among the various judges. Some shows use judging forms with point systems, some just give the judge(s) free reign, others want you to emphasize workmanship over design, but most will emphasize design when workmanship is adequate. Of course, any quilt that displays poor workmanship probably won't make it through the initial jury process. By the time it gets to the actual judging, workmanship isn't much of an issue in most circumstances, because all the quilts at that point in the process are very well-made. Not to downplay workmanship, but because nearly anyone entering a contest is an accomplished quilter, the winning quilt is nearly always decided on visual impact and artistry. 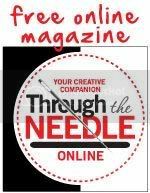 If you have a personal strength in your own quiltmaking and you know it, figure out a way to capitalize on it. If it is hand applique, there is very little competition out there these days for handmade quilts, especially if it is also hand quilted. There are so few hand-anything now in contests, that the competition is very light. If you have the applique skills but not the quilting skills, practice, take classes (not just mine!) and hone your hand quilting skills, while doing your very best applique on everything you make. If hand quilting is your strength, capitalize on it by using solid fabrics in your quilts so that your quilting stitches will show to good advantage. Probably the best way for you to learn about competition is to start entering. There are lots of magazine articles, books, and publications and online information about what judges look for. Just start Googling and continue asking questions like what you did on Saturday. Another great way, (maybe the best!) is to start volunteering to assist with judging at local shows. If you really want an inside look at how the judging process works, and what judges are looking for, that is the best way I can think of. And you might be very, very surprised at what you see and hear! Most show organizers beg for volunteers, so this is a great way to get involved and to learn about how the winners are determined. The R2CA show competition was very, very stiff. Some of the very best quilts in the world were there. The quilts hanging in that exhibit will probably win awards this spring in Paducah, and next fall in Houston. Even if you don't feel ready to enter competition, try entering smaller local venues. However, R2CA, Paducah and Houston are juried shows. You can certainly enter, and let the jurists decide if you are ready for their competitions or not! You might be pleasantly surprised! Even to make it through the jury process shows that you are already a competent quilter, and getting into such a prestigious show is a big step toward winning! And if you're interested in seeing some of the winners from Road to California, take a look at Heidi Kaisand's blog at the APQS site from Jan. 21-25, 2011. This is good information. Glad you had a good time in CA. A good place to start placing your quilts into competiton is at your local county fair. And you get to meet the other quilters/competitors in you area. Excellent post Elsie. Thank you for sharing your perspective. I also think you and the other judges did an excellent job judging at Road2CA. Very difficult judging in-deed, but very fair.